'The Science of Science Fiction: The Influence of Film and Fiction on the Science and Culture of Our Times' – book review – AiPT! You’ve seen them on the shelves of your local book retailer. Titles such as The Science of Star Wars, The Science of Superheroes, The Science of James Bond, each looking to capitalize on the latest blockbuster film release and a targeted segment of geekdom at large. Breezy reads that bridge the gap between favorite works of narrative pop-culture and real world scientific application, chiseling away the ever-thinning line between science fiction and science fact. 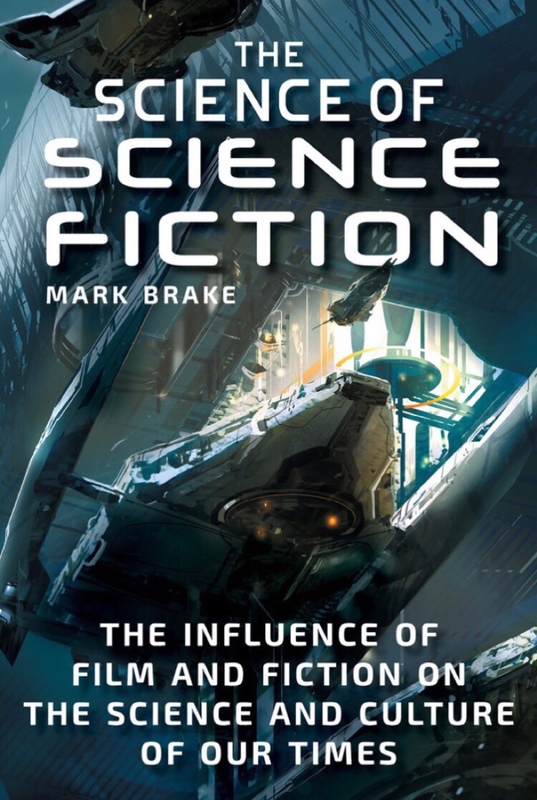 Enter Mark Brake’s all-encompassing book, The Science of Science Fiction: The Influence of Film and Fiction on the Science and Culture of Our Times. Brake, a former science communications professor at the U.K.’s University of Glamorgan, has authored several books of similar subjects, like Different Engines: How Science Drives Fiction and Fiction Drives Science (2007) and Futureworld: Where Science Fiction Becomes Science (2008). With his latest, Brake revisits many of his earlier talking points while utilizing several contemporary references within the world of science fiction, such as Guardians of the Galaxy, Arrival, Looper, Interstellar and even Rick and Morty. Brake amusingly goes on to consider the benefit of creating a real life Jurassic World, whether we’ll ever develop precognition akin to what’s presented in Minority Report and sci-fi’s preoccupation with war in outer space (Star Wars, Star Trek, Battlestar Galactica, etc.). Each enthralling chapter reiterates Brake’s thesis of a symbiotic relationship between practical science and the science fiction entertainment generated around it. One particular chapter that may appear troubling to the more secular-minded concerns Stanley Kubrick’s seminal film, 2001: A Space Odyssey. Its chapter heading queries, “Is There Evidence Of Guided Evolution In Human History?” Brakes quotes such scholarly luminaries as Carl Sagan and Iosif Shklovsky and impartially examines the fringe notion that extraterrestrials may have guided human evolution and culture. Thankfully, the author remains noncommittal on the subject. While perhaps a tad overly referential to more modern and/or fad sci-fi fare (I highly doubt the Chris Pratt/Jennifer Lawrence vehicle Passengers will stand the cinematic test of time), The Science of Science Fiction is an entertaining sourcebook for where science can take us and how the fiction we consume can bolster it ever further. While perhaps a tad overly referential to modern and/or fad sci-fi fare, "The Science of Science Fiction" is an entertaining sourcebook for where science can take us and how the fiction we consume can bolster science ever further.